Love see the LUX series in such good company! Not only was this one a giveaway, but hello gorgeous! 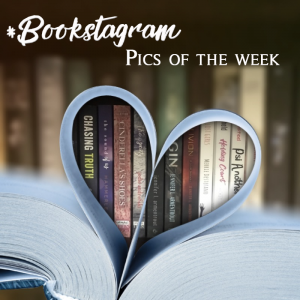 What were some of your favorite #bookstagram pictures this week? Share a link to them in the comments or share them to Twitter and tag us @EntangledTeen! Cover Reveal: Enigma by Tonya Kuper & Pre-order Campaign!